DUG recognises the importance of representation and visibility. To mark International Day of Women and Girls in Science , we talk to some of the brilliant women that we are fortunate enough to have working with us. This is the second post in a two-part series. Read part one: an interview with Anne Locke, Principal Petrophysicist at DUG, here. Today we talk to Karen Dancer. Karen is the geoscience manager for DUG in Perth, and has been with the company since 2012. With a PhD in Theoretical and Mathematical Physics, Karen describes physics as her “first love” and is eloquently passionate about the science. 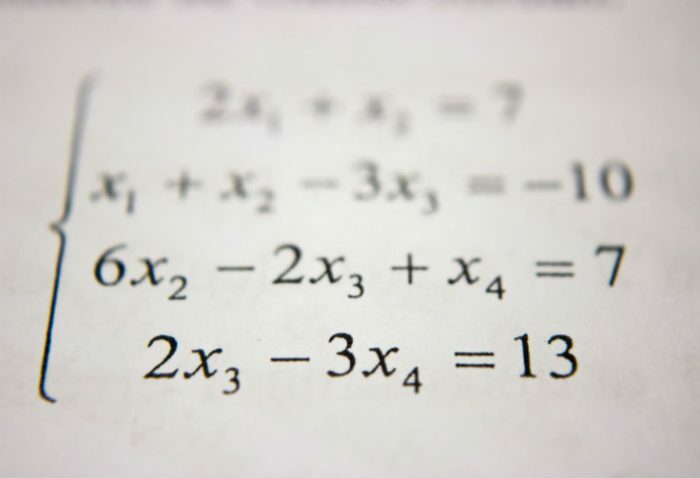 “Mathematical physics is great because you can work on this really beautiful mathematics, with the bonus that is used to describe real physical systems,” Karen says. Karen is talking from direct experience, having once taken a risk herself on geophysics. 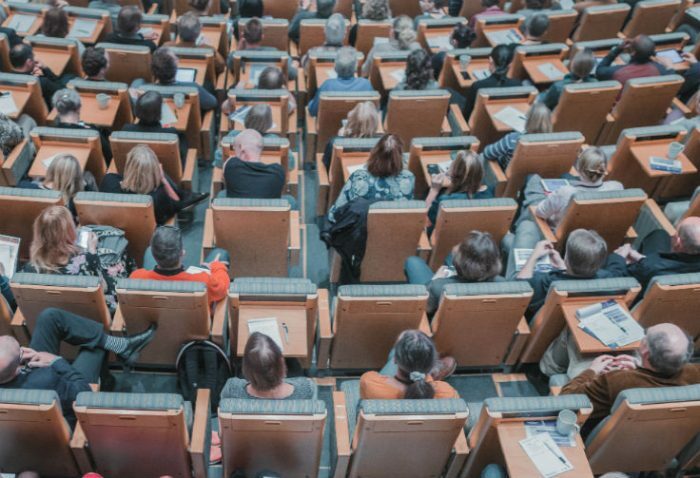 Karen wanted to leave academia, and while she knew the job she would take would be technical, didn’t have preconceptions about a specific field. Coming to DUG with what she modestly says was “little idea” about geophysics, Karen says has enjoyed working with DUG from the start. “A large part of what we do is applied physics,” she says, describing it succinctly as “a blend of wave mechanics and signal processing” although she says geological knowledge is also very beneficial. Like Anne, Karen agrees women in history are often overlooked, with the name Marie Curie being the first one most people think of. “Everyone knows Marie Curie and her daughter,” Karen says, “and many people know Ava Lovelace who arguably wrote the first computer algorithm,” but she has more names that deserve recognition. “Maryam Mirzhakani was an extraordinary mathematician,” Karen says, paying respect to her as the first woman as well as the first Iranian to win the Fields Medal, and who sadly passed away from cancer two years ago at age 40. “Visibility of women in science is important, because it helps girls and young women to see it as a role they could do, and the amount of discouragement from society at large should decrease,” Karen says, but it’s not an easy or quick question to anwser. “Ultimately, I think to retain women [in science] they need to be able to see themselves there, have a comfortable working environment, and feel their opportunities and others’ perceptions of them are dependent on their individual performance rather than their gender,” Karen says. 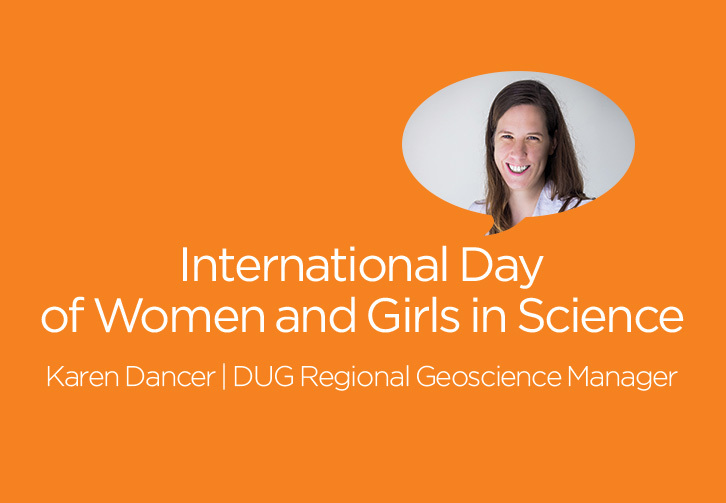 DUG has always recognised the important part women play in the workplace and valued their contribution, be it our geoscientists, geophysicists and software specialists; HR, marketing and finance professionals; or our all-important administrative staff. We are fortunate to have brilliant and inspirational people working with us, and are committed to supporting, mentoring and promoting women in science.